Senate President, Dr. Abubakar Bukola Saraki, has identified smuggling of goods into the country as the greatest threat to the realization of the economic policies of the present administration led by President Muhammadu Buhari. Saraki stated this on Monday while declaring open a public hearing on tackling smuggling in the country organized by the Senate Committee on Customs, Excise and Tariffs at the National Assembly, Abuja. Saraki, according to a statement by his Chief Press Secretary, Sanni Onogu, insisted that unless the monster of smuggling is tamed, efforts being made to diversify the economy from oil would not yield expected results. He called on the Committee and all the stakeholders present at the hearing to come up with relevant recommendations on the way forward to save the nation’s farmers, small scale industries and financial institutions from impending crisis. “My personal presence here this morning along with the leader of the Senate is to make a point of the importance that this senate places on this subject matter,” Saraki said. “For me personally, it is my view that the singular greatest threat to our economy is this issue of smuggling. What is militating against the success of our government is this issue of smuggling. The singular greatest threat to the delivery of the promises made by President Muhammadu Buhari on the diversification of the economy is this issue of smuggling. “The level of smuggling that we are seeing cannot continue because they will definitely rubbish all the policies of government if allowed to go on. I am saying that with all sincerity and all level of responsibility and I tell you why. “Today, the greatest threat to small holder farmers is smuggling. Today, rice farmers who have gone to take loans either from the CBN (Central Bank of Nigeria) or from commercial banks are being threatened by rice coming in from across the borders at highly subsidized rate. “The meaning of that is that the imported rice will always be cheaper than those produced by our local farmers. A time will come, if we do not do anything, that these farmers will not be able to pay their loans to the banks and this will result in serious crisis. The banks that have given loans to these farmers, will also have crisis in their hands. And for the Central Banks that has intervened with billions of Naira again will not be able to recoup their money. “The processors who have invested in rice mills at the beginning of this administration will also be threatened if we do not address the issue of rice smuggling,” he said. Saraki also stated that if smuggling is not stopped, the over $7billion invested by the government in the last 10 years to stimulate local production will go to waste. “Any institution, whether it is the National Assembly or any other one, in order to support the success of our President, we must join to stop smuggling, without it, we should just forget the issue of diversification or increased agricultural production. 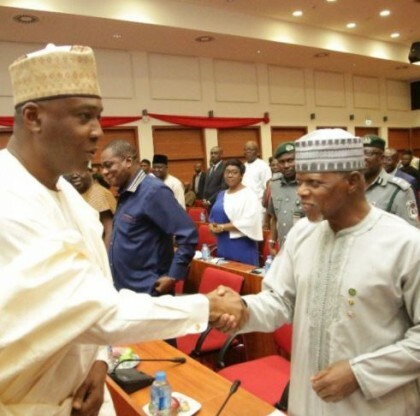 ” the Senate President said. He insisted that smugglers must be stopped to prevent them from further sabotaging the economy. “We must be able to sanction officers who are responsible for this and we must be able to reward officers who prevent the issue of smuggling. We want this Committee to sit down for the length of days of public hearing and ask ourselves what is the way forward. I can assure you that our responsibility as a Senate is to ensure that whatever recommendations are made by this Committee we have to send them back to the executive because as I said this matter is the singular greatest threat to our economy and to this government”, he said. He noted that while Nigeria must continue to respect international treaties, it cannot afford to do so at the detriment of its economy. “There are other issues, of course, that have to do with the ECOWAS treaties and agreements,” Saraki said. “Yes, we are part of ECOWAS. Yes, we want to develop ECOWAS, but no serious country will allow anything that will ruin its economy at the benefit of its neighboring countries. 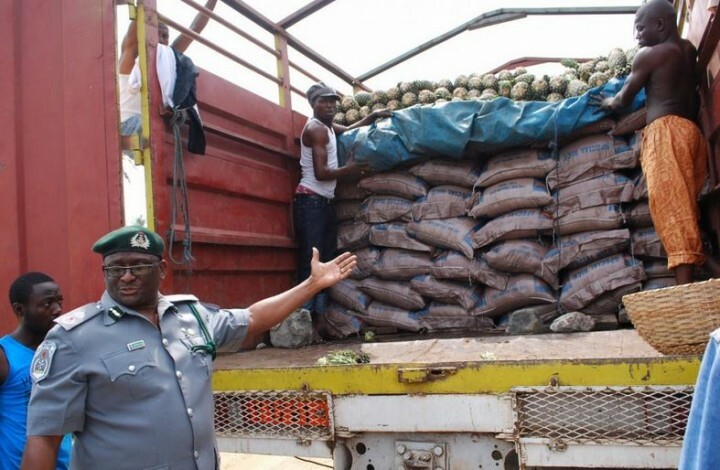 He urged the Comptroller General of Customs, Colonel Hamid Ali to prove his mettle by stopping the incidence of smuggling across the nation’s borders. Earlier, Chairman of the Senate Committee on Customs, Excise and Tariffs, Senator Hope Uzodinma, said the public hearing was part of the committee’s holistic investigation into the operations of the Comprehensive Import Supervision Scheme (CISS) with a view to identify the factors responsible for increasing rate of smuggling of goods into the country.